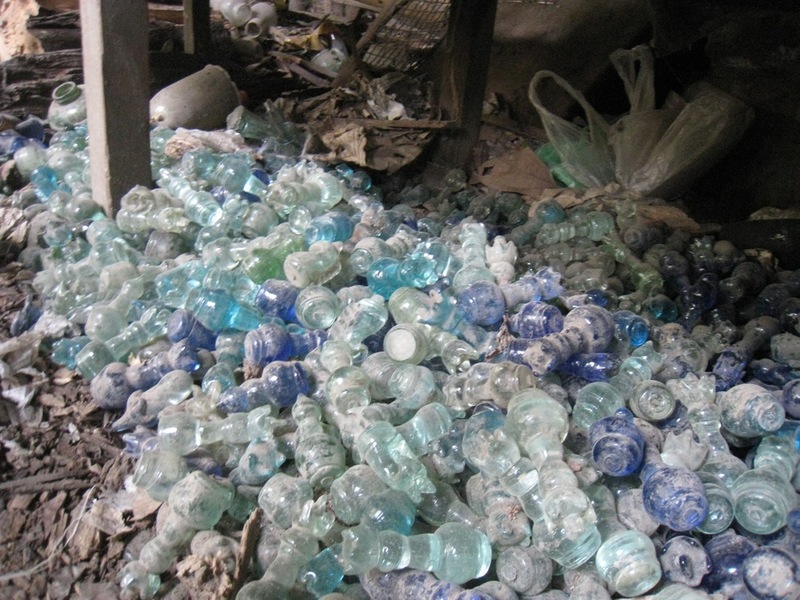 The Nagar Glass Factory, is a glass blown treasure tucked away in the city of Yangon. Be warned, this once-operational family owned business is not your typical tourist destination. I was intrigued by the thought of visiting the Nagar Glass Factory because of its familial history and impact they have endured as entrepreneurs over decades in Myanmar (Burma). The Day Of: I was nerdily excited about the prospect of visiting this glass factory. I remember hailing the cab and showing the driver a map, then eagerly asking, "Nagar Glass Factory?" (I printed out several maps to make sure we wouldn't get lost). Granted, we still needed to stop to ask for directions, we still arrived at the correct, nondescript location. I followed the path through the mass of trees, and walked right into an oasis of history, destruction, and beauty. My feelings were mixed with happiness for finding this hidden gem, and sorrow for what I saw before my eyes. A little history: The Nagar Glass Factory was a family business started in 1953. Their business started by making glass medicine bottles. They soon realized the bottles made overseas were cheaper and of better quality. Kerosene lamps were the next product they decided to sell due to the need for electricity. After demand decreased, the family decided to craft glasses, vases, and decorative pieces. Destruction: The glass factory was thriving until 2008. 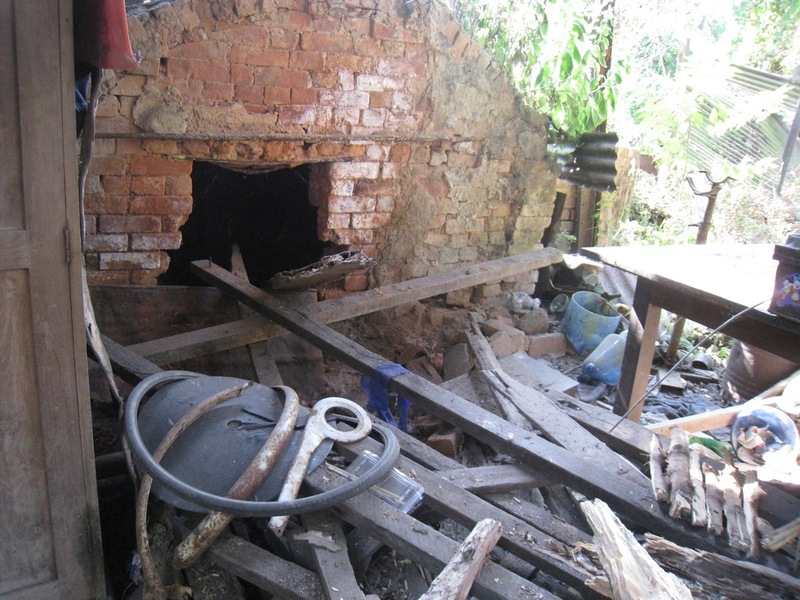 Cyclone Nargis thoroughly devastated the production facility, leaving irreparable damage upwards of USD $70,000. Today, the grounds of the factory are intertwined with glassware and brick. Most items are in shards, but some pieces are intact for visitors to find and purchase as keepsakes. Beauty: The day I visited the factory, I was consumed by the beauty of my surroundings. The sun was shining and the birds were chirping yet I was among utter destruction. I wasn't sure how to process what I was seeing versus what I was feeling. I decided to walk around the factory; to absorb the smells of the place, to touch the glass, to feel the bricks. I went by solo that day, and one other person was there looking for chess pieces. I took my time to speak to members of the family. Their positivity warmed my heart. They experienced such destruction, yet they were smiling and so grateful for all they presently have, and what they endured. I was both humbled and inspired by what I witnessed that day. 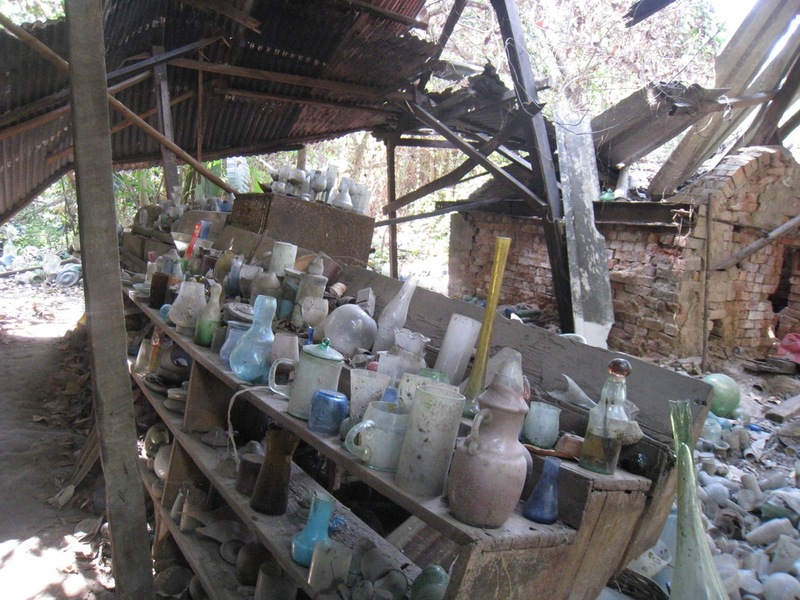 This family had a profound impact upon the glassware business in Myanmar. They were employing locals, selling high quality local goods, and creating a positive impact upon society. This experience reminded me about how unpredictable life can be. If you are optimistic and believe the glass is half-full regardless of what happens in life, nothing can bring you down. NOTHING. I encourage you to visit the Nagar Glass Factory, not as a tourist destination, but as a place to reflect upon your own life and circumstance.